Washington, D.C. injury attorney Ira Sherman has dedicated his career to the pursuit of justice for personal injury victims in Washington, D.C. and Maryland. Over the past three decades, his creative and aggressive litigation strategies have helped Mr. Sherman develop a reputation as one of the finest attorneys in the area. Ira Sherman handles all types of personal injury cases, and has made medical malpractice a special focus. Mr. Sherman also fights for the rights of victims of discrimination. 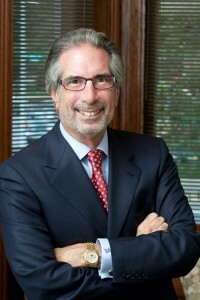 Attorney Ira Sherman has been the senior and managing partner at Chaikin, Sherman, Cammarata & Siegel, P.C. since 1999, and he has been with the firm since 1980. He earned his law degree from the State University of New York at Buffalo Law School and is licensed to practice in the District of Columbia, Maryland, and New York. Attorney Sherman has received recognition for his exceptional legal skills and strong track record of success by several prestigious associations including SuperLawyers and AVVO. He has received an AV rating from Martindale-Hubbell, the highest rating bestowed by this organization. Mr. Sherman also served as President of the Trial Lawyers’ Association of Metropolitan Washington, D.C. in 1992 and is an active member of the American Association for Justice.